Posting in the blog for three days in a row … wow, that hadn’t happen in such a long while ! I must be on a roll !! I thought I’d share with you today some snapshots at what I call my atelier. Last December (I think), I rearranged our living-room in order to create three separate (yet still open) spaces : a space for taking our meals, a space for relaxing, reading or watching TV, and last but not least, a place for me to create ! I used oak book cases (shelving units) for creating a separation between the TV areas (we only use our TV for watching films we rent/buy) and what was going to become my atelier. It totally worked, because since then, I’ve felt like I had an actual, tangible space of mine, in this house of ours. My weeks are not longer because of that (obviously, but really, I wish !! 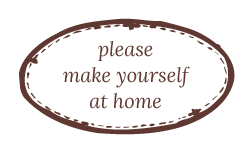 ), specially with weekends when hubby comes home, that makes weeks go even faster ! But … I might have found a motivation & inspiration, like I hadn’t in years !! And I’m super happy about that … who wouldn’t be ? 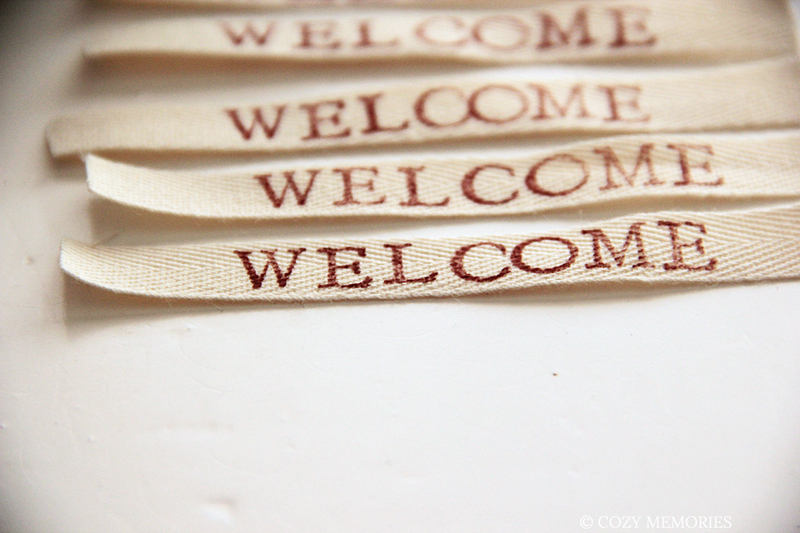 So … these cotton ribbons you see above were handstamped by me, and will be used for the upcoming Gentle Tags ! (read more about them here) I hope they’ll be ready tomorrow, but I can’t promise, really ! I’m having so much fun with these ! Picking vintage floral (thrifted) fabrics & text to go with it, is such a joy ! I don’t know if you see them, but there are one mug (with a large handle) and an expresso cup in the wooden tray ! The mug on the front is a vintage Dunoon, and I love find them when I thrift ! I have a couple of them, and I love them dearly !